The Indiana Historical Bureau provides publications, programs, and other opportunities for Indiana citizens of all ages to learn and teach about the history of their communities, the state of Indiana, and their relationships to the nation and the world. We are especially pleased to support educators in their efforts with resources listed below. 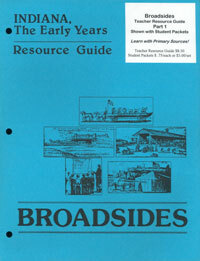 You can also download BROADSIDES, over 400 pages of primary source history materials and activities for Indiana history education. Limited quantities are still available in print. Teachers and Students can access a variety of resources for popular Indiana History Topics, including George Rogers Clark and State Emblems. To browse all resources by topic, click here. Research Checklist This list of resources is the checklist IHB researchers use when starting a new research project. Includes links to digital resources as well as national, state, and regional repositories. Pointers for Research reviews the process of good research for students. The Indiana Historian 16-page 2-color magazine devoted to one topic in Indiana history. Written with a young audience in mind, and great for the classroom. Paper copies are available, and digital versions may be accessed 24/7. A variety of relevant books are available in our Book Shop. A 15% discount is available for teachers and educators. Also Note: At one time, the Indiana Historical Bureau ran a press and produced a variety of pamphlets and books. Many of these out-of-print resources are no longer available elsewhere, and are in the process of being digitized and made available on the web. Hard copies of these resources, as well as the Bureau's research files are also available for review by appointment. Hints and instructions for research in a variety of settings and situations, using various types of resources. How to collect and preserve local history using oral interviews. Among the appendices is a handbook on preservation basics: "So, You Want to Preserve History?--Some Things You Should Know." BROADSIDES makes reproductions of primary source materials from Indiana history available for students and teachers to use across the curriculum. 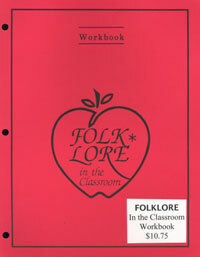 The Resource Guide provides introductions to the period and the subjects covered, including document introductions, activities, maps, timelines, reference materials, various finding aids to help match subject areas with the documents, and two supplemental related documents for each of the twenty-five packet documents. Document packets each consist of five document reproductions (two views each) and two supplementary sheets in an envelope. The Indiana Historian has been available as a digital download for some time, and now, you can download BROADSIDES! Click the links below to download this resource (there are 9 files total). Includes one of each of the five packets. History and theories of the derivations of Indiana's nickname. Text of documents important to Indiana statehood. Considers Indiana's beginnings and those who created it. The history, truss types, and photographs of Indiana iron bridges. Details truss types, photographs, information about numbers of bridges now and in the past. List of existing covered bridges by county. Images and text describing the many types of barns found in Indiana. List of all Indiana Historians grouped by topic (many of these issues are on the Web site). Introduction to research in local history with examples and checklist. Order No. 7019 E-mail the Indiana Historical Bureau with questions or your order. Call the Indiana Historical Bureau Books Shop at 317-232-2535 to make a purchase. Other Indiana Historical Bureau Resources. Other Indiana Historical Bureau Documents and Resources.